In this guide to Dragon Ball Xenoverse 2, we will show you how you can get the Z Rank and unlock rewards. At the end of each mission, you receive a score and bonuses for completed challenges. However, the requirements are not always very clear, and there are secret bonus targets in missions that will boost your score on successful completion, so you can reach the Z rank. At the end of training sessions and parallel quests, there are especially lucrative rewards for a Z-Rank. The rating criteria will be displayed to you after a fight, and the more you get, the more likely the Z-rank will be. The following list shows which rewards are available and how to unlock them. For a Z-Rank you don’t have to unlock all the Rewards in a mission. If you earn at least 8-10 rewards, this is usually the same as a Z-rank. Untouchable - No damage taken. Lightning - Complete the fight within three minutes. Fight in the bottom - Complete the mission alone. Conqueror - Defeat a strong opponent. Reversal - Defeat a stronger opponent. Finisher - Defeat the last opponent. Super attack Finisher Defeat the last opponent with a super attack. Declassified-attack-Finisher - Defeat the last opponent with an ultimate attack. Dedicated destroyer - Defeat three enemies. Master Destroyer - Defeat ten opponents. Ultimate Racket - Run five successful ultimate attacks. Master Specialist - Defeat 10 enemies with super attacks. Super racket - Run ten successful super-attacks. Combo-connoisseurs - Need over 20 combo hits. Ki-Blaster - Need 20 Successful Ki explosions. Ringer - Run three successful litters. Sneak - Ten successful attacks from behind. Master has mixed - The active champion has supported you in battle. With links - Other health is over 80%. Precise - The hit rate is over 80%. Top gripper - Cause most damage. The rewards differ in the difficulty level and many can easily be unlocked in every mission. For "wrestlers", for example, you must have thrown an opponent three times. For this purpose, press L1 circle or LB B in the vicinity of your opponent. The award "KI-Blaster" is just as easy with 20 hits with AI explosions. Just press Circle or B. Again, you will earn the "Combo-Connoisseurs" award with repeated combos by means of a square or X. - Ultimate Finisher: In any Parallel quest you can unlock the Ultimate Finisher. For this you must have fulfilled the two secret conditions of victory in the mission. - Take Items to Heal: Before you turn off your last opponent in a mission, you should replenish your life board with a healing item. In this way you get the "Untouchable" and "With Links" awards. 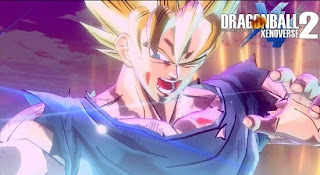 - Super attacks and ultimate attacks: Complete a battle if possible with a super attack or an ultimate attack, as they can unlock several awards. In general, you should use these attacks frequently to increase your chances of a Z-rank. - Transformations: All classes have the ability to transform. This should be used at the latest shortly before the end of a fight. We also show you how you can become super-saiyajin and unlock transformations. With these tips you should have no problems to reach the Z-rank. Through rewards and increased points, you also get more points of experience and deserve great rewards in the long run.